Theatres on the Place du Châtelet ? The Théâtre du Châtelet and the Théâtre de la Ville, ttwo identical theatres, with a fountain and an open plaza, the Place du Châtelet, between them, were constructed along the quays of the Seine. Built on the site of a châtelet, a small castle or fortress, it was designed by Gabriel Davioud at the request of Baron Haussmann between 1860 and 1862. 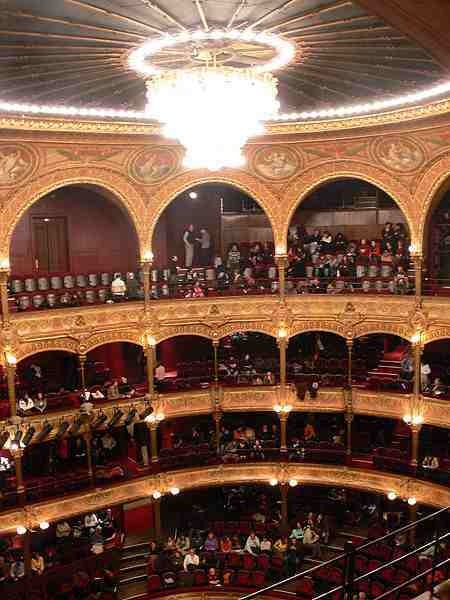 The Châtelet concentrates mainly on opera and classical music, with occasional ballet, and usually has a rich program of international performers. The other theatre, previously named the Sarah Bernhardt and now known as the Théâtre de la Ville, offers top names in contemporary dance, innovative French theatre, and evening concerts of jazz or world music.